Here in Europe, we are always so excited when we hear some news about new football teams, tournaments or success stories. It’s even better if you connect football with some charity events. 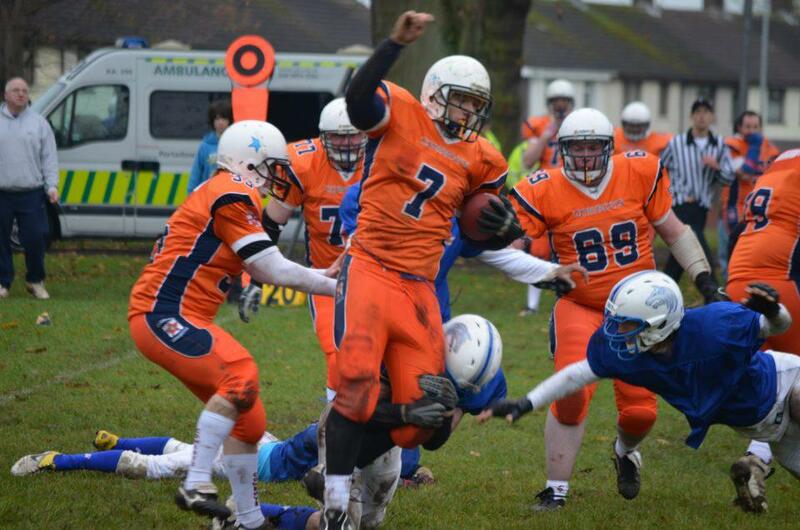 Waterford Wolves played their first game on a Cancer Charity Tournament in Craigavon. A small town in North Ireland was a host for warriors with big hearts. There is a certain odor you get from Football players and their equipment when they are in a confined area, this area happened to be a mini bus on the way to a Football Charity event in the North of Ireland run by the Craigavon Cowboys for a Cancer Charity. This was going to be the testing ground for these young Wolves in a Division 8s game. This is a game played with 8 players on both sides, 20 minutes a half, and the clock continues to run without any stoppages. I really didn’t know what way these guys would be effected by what was about to take place, nor was I in a position to relay old war stories as this could have had a negative effect. I was there to advise and give direction if needed. 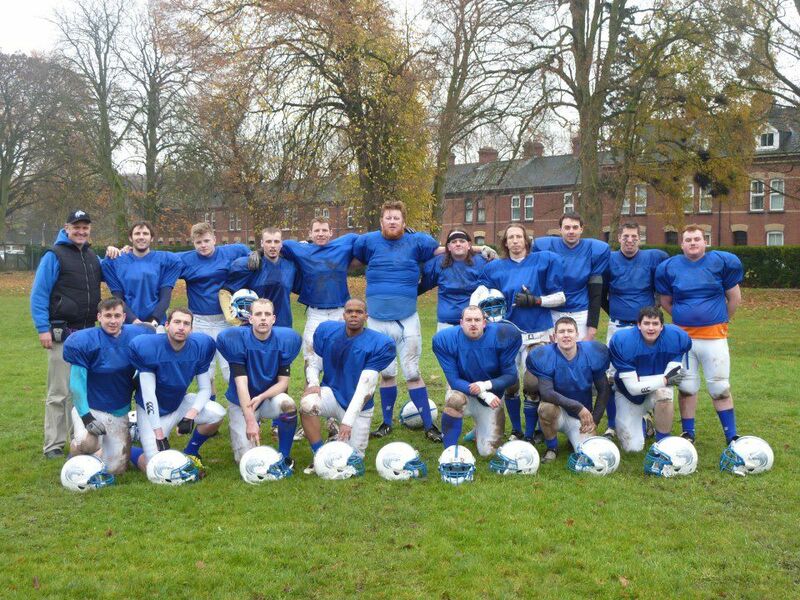 My younger Brother who was the Head Coach of the Waterford Wolves had passed away earlier in the year and never got to see them play their first kitted game. There is a decal on the front of all their Helmets with Dave’s initials on it and this was to inspire them to some amazing play later on that day. We arrived at the venue in good time and were shown were to go to change into our kit, all the while I was watching the players trying to see the tell tale signs of pre game nerves or doubt. Banter was the order of the day as they all seemed loose and ready for some Football. We met some of the other players and they like us were sizing each other up like prize Cockerels about to fight, this is all part of the Macho build up within your own mind. 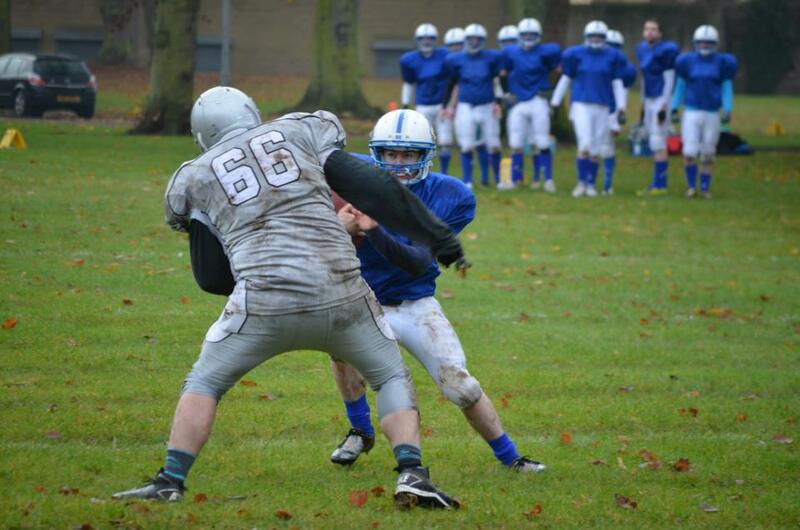 Our First game was against the Reapers from North Kildare; we won the coin toss and elected to receive the ball at our 20 yard line. We drove all the way down for a TD on our very first drive in full contact Football. I was in awe of what I was seeing as the Offensive Line opened up holes for the RBs to run through. Defense did just as well as they allowed 6 points in the game and it ended in a stalemate 6-6 after some hard hitting from both teams. We then played the Craigavon Cowboys who have many years of experience under their belts and would be using this event to blood new players for their Division 1 team. We never wilted and gave a great account of ourselves once again. There are too many heroes to mention and to say I was proud of them would be a massive understatement. We entered a play-off for 3rd place against a UCD team who like the Cowboys have played in Division 1 Football for a number of years and you could see the skills they had acquired over the years. 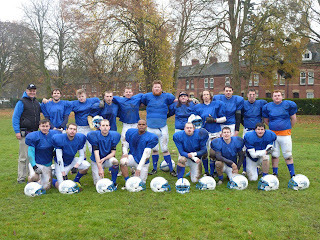 We again gave a great account of ourselves but injuries and some amazing passes by their QB doomed us to a 19-6 defeat. I’m sure my brother looked down upon the men he had coached and seen these Cubs turn into a hungry pack of Wolves. There is lots of hard work ahead for us all but, with the same determination and mindset shown in these three games the future is very bright for this team. I look forward to sharing a part of it as I owe it to both my Brothers memory and this Wolf pack.